In combination with the opportunity email alerts, this feature provides you immediate teammate suggestions per opportunity. 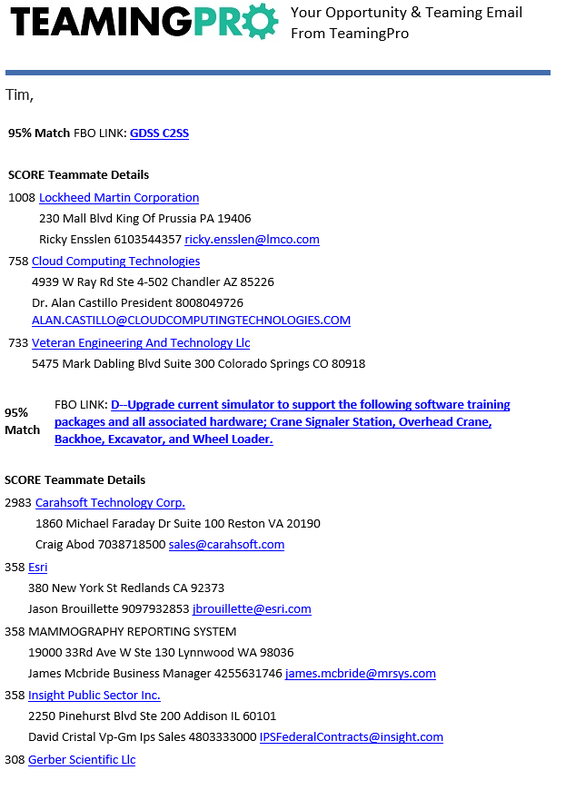 We provide contact information, teammate scoring and more making it really simple to see who would make the best possible teammates right in your inbox. Now you can get immediately notified of an opportunity, see the top-rated potential teammates for each opportunity with contact information and lock up the best teammates all before your competition knows the opportunity has even become public.